With over 45 years of experience in manufacturing corrosion resistant pumps the CSP range is the first true self priming pump capable of priming up to 4 metres. With its unique antisyphon design the CSP has no internal valves, and after initial priming for the first time it retains liquid within the casing for reliable priming time after time. CSP pumps are ideal for applications such as sump emptying, emergency emptying of tank bunds, tanker offloading etc. and can be trolley / trailer mounted for easy use around site. Available in polypropylene, PVC or PVDF means that CSP pumps are suitable for use even with the most arduous of chemicals and, as each component is machined from solid thermoplastic, you can be assured of an exceptionally rugged construction giving years of trouble free performance. All the chemical pumps can be fitted with a range of mechanical seals making them suitable for all different chemical applications. Due to their semi open impeller, all mechanical seal pumps can be utilised in applications where solids are present, such as various wastewater applications. Because every mechanically sealed plastic pump is manufactured in the UK, we are able to tailor every pump to your exact requirements. Whether this be a specific cartridge seal, or the pump built to match existing pipework, we can supply a pump that is right for you with a minimal change in lead time or cost. All of our pumps come with our no obsolete parts policy, meaning if you have a Crest pump for 40 years, we will be able to provide you with parts and an exact replacement to minimise disruption to your process. 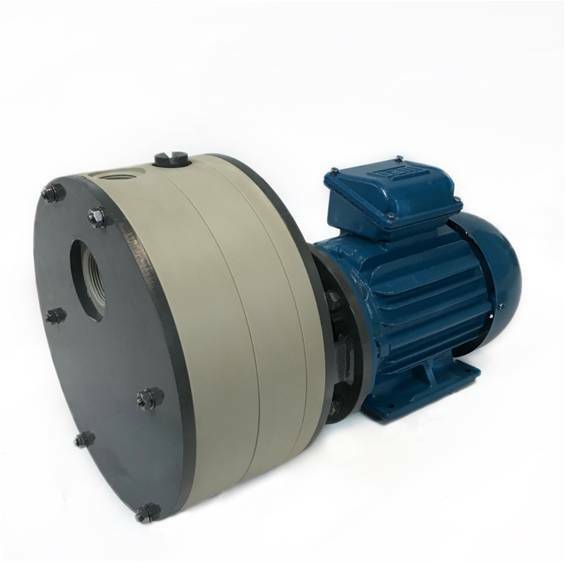 The CSP range of mechanically sealed pumps have been built to endure all types of applications. Applications that include chemical transfer, tanker offloading, fume scrubbing, re-circulation and waste water handling. Priming chambers can also be fitted to allow suction lifts up to 4.5 metres. Crest Pumps Group manufacture our pumps in the UK meaning we can offer greater versatility to modify any standard pump to meet any particular plant requirements. This can vary from fitting a particular seal type, to modifying the location of the inlet and outlet to fit existing pipework, usually with very little difference to the price or lead time. Our whole range of mechanical seal pumps come with our no obsolete parts policy guarantee. Meaning if you have a Crest manufactured centrifugal pump (even in service for over 40 years) we guarantee to provide spares, maintenance or an exact replacement of the original pump. Complete with all modifications and specifications.